This is the fashion philosophy of a professor (of philosophy) at the University of Chicago. I enjoyed her approach to “dress like the giant kindergartener I am”. This article talks about how we may expect AI to become “wonder boxes” in part because of the movies we see (think C-3PO in Star Wars or any of these). But at this stage, we shouldn’t expect too much. If the technolgoy is used for more specific purposes and skills, it’s much more successful. When the algorithm was created to look at only recipes of cakes, it did much better, though it’s still a recipe for something inedible. The article goes on to explain that ANI (artificial restricted intelligence) — focusing on specific, narrower functions, is working well. 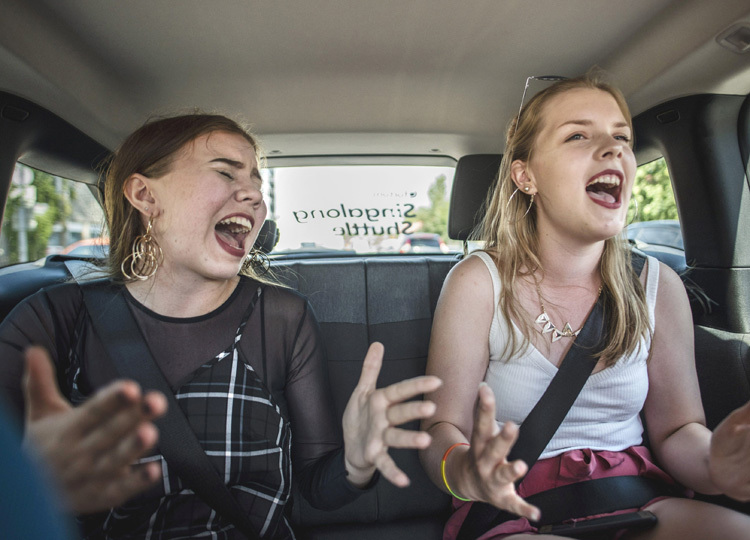 “Carpool Karaoke” made singing in cars a thing. For a few days in one city in Finland, you could sing in taxis instead of paying, says this short article from Japan Times Alpha (a good place to get some reading practice in English, this site has Japanese translations of the articles to help you understand and improve vocabulary). This article is labeled in the “easy” to read category. Read it to find out why the company did it.